Our principal dentist, Bob Bhamra and his carefully selected team have created a community of like-minded patients who value the expertise and dentistry we provide. As a team, we all strive to do our best for each and every patient. We adhere to - and surpass - the strict professional guidelines set and monitored by the General Dental Council. Please click here for more information. As the principal dentist and founder of Jiva Dental it is my responsibility and honour to look after our patients and my team. It is humbling that patients choose to come to us to help them achieve amazing smiles, confidence and great dental health. At the practice, we have created a community of like-minded patients who value the expertise and dentistry we provide. As a team, we all strive to do our best for each individual patient. I think Jiva is so special because we try every day to make it a calm and relaxing place to be. I wanted to create a practice that does not look, feel or smell like a dentist’s. Everyone here is really down to earth, approachable and professional. I’m sure our patients would agree! My main area of interest is cosmetic dentistry and have been personally trained by some of the leading experts in the field from the USA and the UK. I have also trained in sedation and enjoy working with nervous patients, helping them through their journey. As a certified Invisalign practioner I have helped 100’s of patients achieve the smile of their dreams! In fact, my love for Invisalign has led to me undergoing treatment myself. In 2007, I gained a Certificate in Restorative Dentistry from the renowned Eastman Dental Institute (UCL). I have also written for and appeared in the British Dental Journal and have been a speaker at the British Dental Conference. My passions (apart from dentistry!) include my family, travel, martial arts, bouldering, skiing, my guitars and music. I also love the theatre and good food (eating and cooking!). In establishing Seddon Dental Implants, I looked to put my patients at the focus of my care. I have worked hard to build a team who would help me offer this patient-first approach, taking time to listen to people and understand the problems their teeth give them in their daily lives. I always try to explain what I see in clear and simple language, then discuss a range of treatment options, so that my patients can use this information to make the best-informed choices for their mouth. I love working at Jiva Dental because the team are so helpful, warm and inviting and the practice is beautiful. Patients always praise the calm environment and team, who are very welcoming and caring towards them. My small, personal and supportive implant team explain all treatment options and ensure patients’ needs are truly understood and met at every stage. I can also offer intravenous sedation, making implant treatment a more relaxing and positive experience. I have lectured in the UK and Europe, published papers in dental publications, and clinically mentor fellow dentists. My hobbies are teeth! I also love spending time with my wife and twin boys, and skiing. I love my job and I gain a real sense of fulfilment watching someone go from being completely anxious about their treatment to coming in every time and greeting me with a smile. Nothing quite compares to transforming someone’s smile and seeing the happiness it brings them. We take the time out to really get to know ‘you’ and not just your teeth. Every single team member genuinely cares and I spend every day working with people who make me laugh! I qualified from the University of Birmingham in 2007 with a distinction in clinical dentistry. Since then I have been providing high quality dental treatment in London and Surrey and have also been involved in the training of newly qualified dentists. 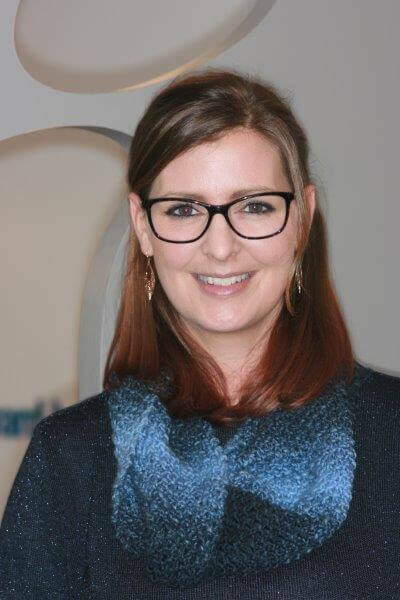 I believe passionately in the value of continuing education and have completed many postgraduate courses, including training in aesthetic dentistry, minimally invasive dentistry and Invisalign clear braces. My special interest in root canal treatments has led to a Master’s Degree in Endodontics at the Eastman Dental Institute (UCL, London) for which I was awarded a distinction. My strong commitment to continual professional development allows me to offer the highest standard of care to my patients. In 2009, I passed the Royal College of Surgeons’ MJDF examinations. Outside of dentistry my two young children keep me busy and when I’m not running around after them I love to spend my time unwinding with a book. I’m a self-confessed ‘foodie’ and never miss the chance to try a new cuisine! I feel happiest when socialising with friends and family and have a real passion for interior design. I qualified as a dental hygienist from King’s Guy’s and St Thomas’s Hospital in London in 2003. I joined the Jiva team in 2016 and have honed my skills in teeth whitening and air flow stain removal. My primary role is to provide preventative care to our patients by cleaning and educating them about how to care effectively for their teeth and gums. I also explain the effects of diet on our oral health. I enjoy my job because it gives me a lot of satisfaction, especially in using my skills to provide care and seeing the changes that I can help bring to people. I like watching my patients leave our practice with smiles on their faces and getting to know them not just as patients but as friends. Jiva Dental is a special practice to me and our team are friendly and warm. We care about every person who walks through the door. Patients are greeted with warmth and beautiful soothing music. We are driven to make everyone’s experience a good one. My interests and hobbies include working out; I enjoy keeping physically fit and days out with my family and friends. I absolutely love what I do! I’ve been dental nursing for 24 years and find it a very rewarding and fulfilling job, unlike any other and of course, there's the joy of caring for patients and helping them smile again. Working at Jiva every day holds something new and exciting - no two days are the same. Being a dental nurse allows me to have so many wonderful moments. In my spare time I enjoy cooking, travelling but most of all spending time with my son. After 22 years of looking after children running a child-minding business, I felt it was time to use my nurturing skills in another area. I love meeting new people and getting to know them. I think Jiva is special because it doesn't feel like you're at the dentist. It has a calmness about it and I believe our patients benefit from this. In my spare time I love to cycle, bake with my daughters and care for the animals I have at home. 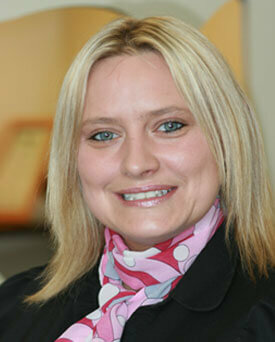 I am the practice manager for Seddon Dental Implants and also double up as a dental nurse when needed. I love being able to integrate with the practices we visit and deliver a great service to patients. I have been nursing since 2010 and I hold the NEBDN diploma in dental nursing qualification. I enjoy the patient care aspect of the role whilst following them through their journey. I enjoy liaising with the practices and nursing for implants. In my spare time I enjoy horse riding, snowboarding, reading and holidaying somewhere hot.